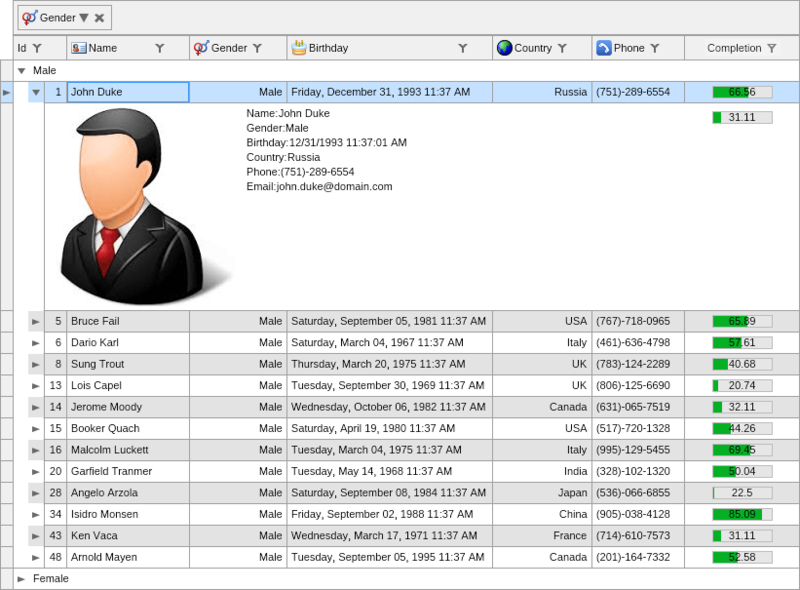 NOV Grid for .NET is a high performance Data Grid component for displaying and editing tabular data within your WinForms, WPF, Silverlight, MonoMac and Xamarin.Mac applications. The NOV Grid for .NET framework includes a TableGrid and a TreeGrid (ListTreeView) controls with many advanced features for data-binding, formatting, editing, navigation and more. Whether you need to simply display and edit tabular data or need to provide your users with a full-featured data exploration tool, NOV Grid for .NET can help you achieve your objectives quickly and easily. NOV Grid for .NET is built upon the NOV Document Object Model (DOM) and is a scalable and extensible solution. You can use any type of widget as cell editor or cell visualization. virtual null-modem cable locally or through the network. Resource Hunter is a powerful RESOURCE EXPLORER for Windows executable files.